3DMark has been a standard graphics benchmark for many years, while it includes four benchmarks, we will be focusing on Fire Strike, which is the most demanding benchmark within the suite. Fire Strike is used to test the performance of gaming PCs, and tests DirectX 11 hardware. 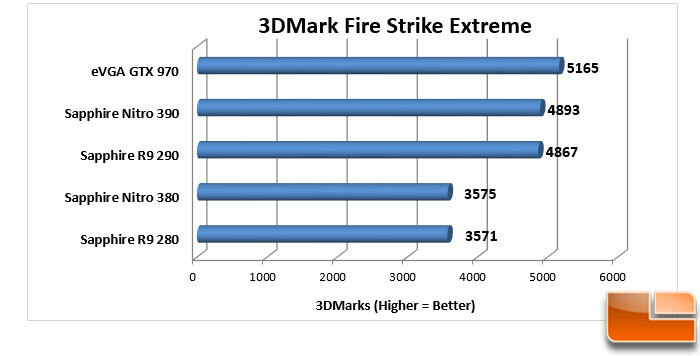 At the standard settings, the Sapphire Nitro 380 received a score of 3575 in 3DMark Fire Strike Extreme. This is broken down into 3801 Graphics, 7807 Physics, and 1583 Combined scores. 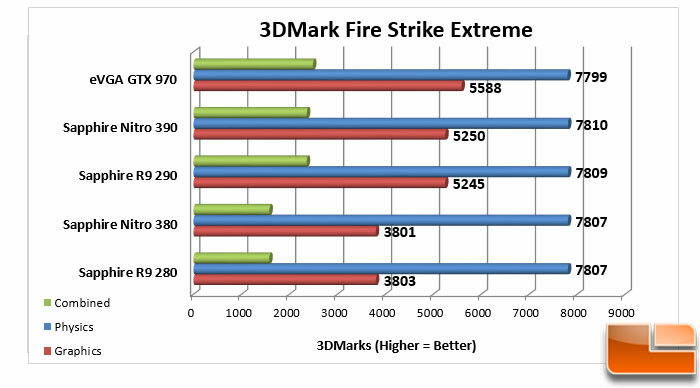 The Sapphire Nitro 390 received an overall score of 4893 in 3DMark Fire Strike Extreme. A Graphics score of 5250, Physics score of 7810, and a Combined score of 2365 made up the Overall score. 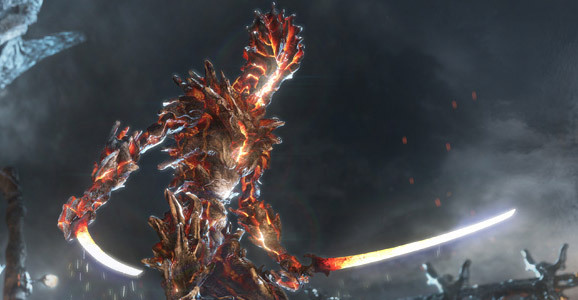 Benchmark Results: As we will soon see, 3DMark starts a pattern of scores. The 280 and 380 score nearly the same, while the 290 and 390 get nearly identical results. What’s different here though is that the GTX 970 received around a 5% better score than the Nitro 390. In real world testing they’re a little closer in scores.